BRECKSVILLE, Ohio -- The pedigree of Sleepy Hollow Golf Course is impeccable. Sleepy Hollow is the gem of the eight golf courses of the Cleveland Metroparks system. It's got history dating to 1925. The legendary Stanley Thompson, Canada's most celebrated architect, used some scenic land in the Cuyahoga River Valley to craft a charismatic course. Immaculate conditioning comes courtesy of superintendent Chad Lewanski, who cut his teeth at private clubs around Cleveland. And, perhaps most important, Sleepy Hollow might be the best most affordable course visitors will ever play. Sleepy Hollow, the gem of the eight courses of the Cleveland Metroparks system, just doesn't have many weaknesses. Golfweek rated it no. 15 among the nation's top municipal courses and no. 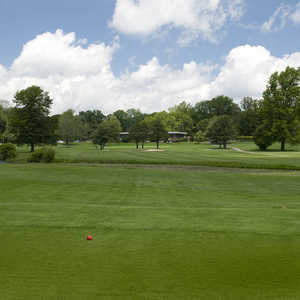 2 among the "Best Courses You Can Play" in Ohio in 2013. "The challenge of the greens and the scenery are why people come out," said John Fiander, the head professional at Sleepy Hollow. 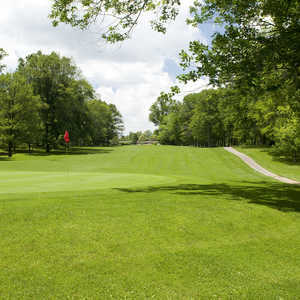 Sleepy Hollow Golf Course was originally a country club on land leased from the Metroparks before turning public in 1963. Thompson, who is highly regarded for his work at Banff Springs and Jasper Park in the Canadian Rockies, simply let his fairways spill out among the rolling hills and deep ravines. The 6,723-yard par-71 course disappears from civilization, hidden from homes and roads. The routing, littered with 58 bunkers, demands precision. The par 3s are probably its strength, especially the brutal 235-yard second hole. Plenty of fine holes -- the monstrous par-4 third hole and the risk-reward short par-4 17th hole, for example -- easily erase the one head-scratcher, the 497-yard par-5 14th. The blind tee shot and boomerang fairway aren't as straightforward as the rest of the course. There is one cardinal sin players should avoid at Sleepy Hollow. "You do not want to be above the hole. It's easier to four-putt," Brecksville resident Lenny Capuano said. "You get above the hole and you are dead." Lewanski closely monitors the Golfweek rankings of other municipal courses across the country. He plans on chasing down two major championship venues, no. 1 Bethpage Black and no. 2 Chambers Bay. "My goal is to be number 1," he said. "We are closing fast." There are only a handful of bargains across the country better than Sleepy Hollow Golf Course. Few players will shoot their handicap on this tough track, but they'll always have fun trying.